Today we take power tools for granted. Whether you work with machines or just have a DIY job around the house that needs doing, you will simply reach for your power tool and get to work. While we may take power tools for granted, our ancestors weren’t so fortunate and instead had to make do with manual tools that not only required brute strength and multiple people to get a simple job done, but were also dangerous. The creation and development of power tools is an interesting journey that started in ancient Egypt, visited the moon and transformed lives around the world; while also leading to the $33 billion global power tool industry we have today. As keen builders and innovators it is not really a surprise that the first power tool was created by the ancient Egyptians. 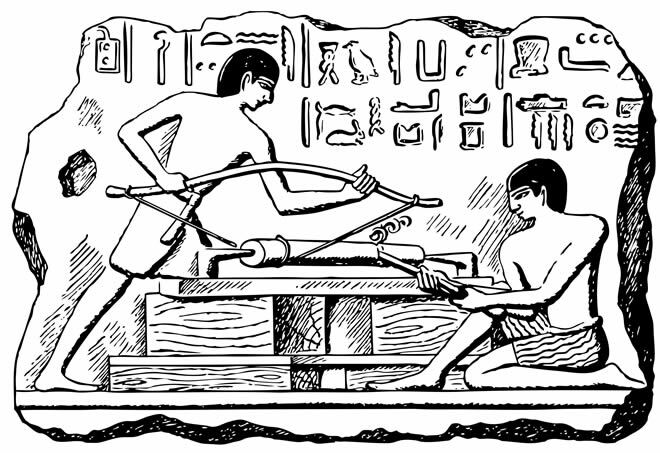 Although a very primitive version of what we would consider a power tool, the ancient Egyptians developed a hand powered lathe that is widely believed to be the first ever power tool. When Thomas Edison invented the incandescent electric lamp in 1879 it led to a transformation in how people viewed the potential of machinery. In fact, it was only 16 years after Edison’s invention that the first modern power tool was invented. 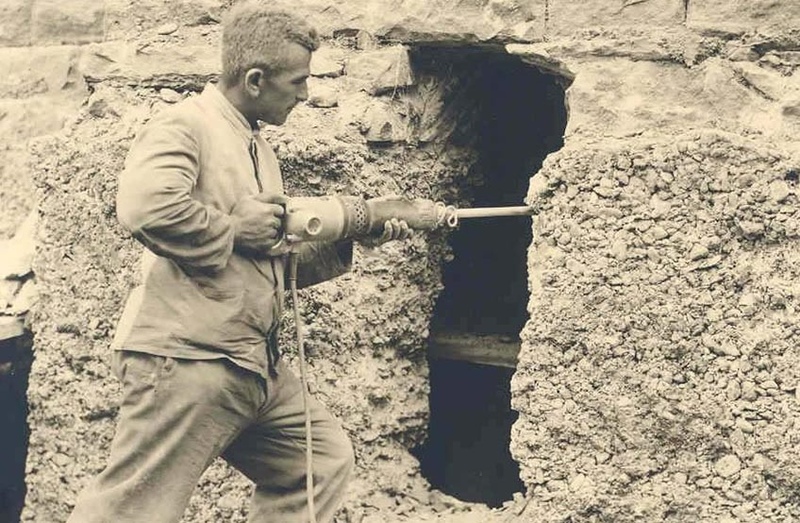 German company C&E Fein is credited with inventing the modern power tool when it combined the power of an electric motor with a manual drill to create a new type of drill that revolutionised the industry. This drill was heavy, weighing 16.5 pounds, required multiple operators and, being powered by a large but relatively weak electric motor, was slow. Compared to modern standards this drill was cumbersome, unproductive and difficult to use, but for the next 20 years it reigned supreme. In the USA in 1910 a tool and die worker called Duncan Black sold his car for $600 and, together with his friend Alonzo Decker, opened a small machine shop. The pair decided that they could improve the C&E Fein drill by adapting the design of the Colt .45 automatic pistol. Within 6 years of first opening their shop, Black & Decker had began selling a pistol-grip, trigger-switch electric drill. This drill was lighter, easier to use and more powerful than the C&E Fein version, which led to it taking over the market and its design is one from which all handheld electric drills are descended. Developments were made to power tools since 1916, with constant inventions aimed to make them lighter and easier to use. Another key aspect to improving the power tool was safety. Prior to 1930s power tools were often cased in cast metal housings, which led to repetitive use injuries, as well as often shocking the user. While experiments with different materials took place, it was in 1957 that the first power tool with a plastic casing was created by Bosch. This made power tools safer for people to use and protected users from the risk of electric shocks. 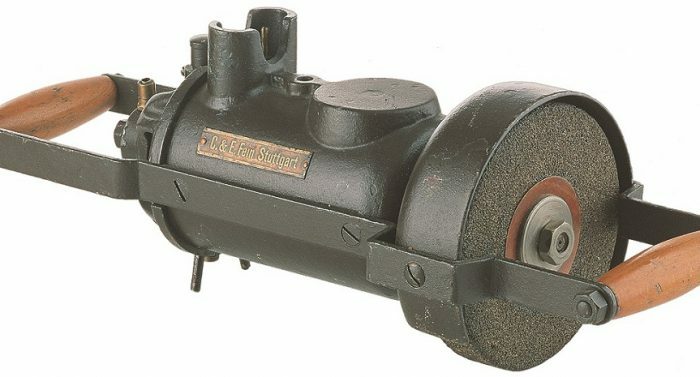 In 1961 Black & Decker designed and manufactured the first cordless power tool. This drill was powered by a rechargeable nickel cadmium (NiCad) battery. 2 years later Martin Marietta Corporation contracted Black & Decker to design tools for NASA’s space exploration programme. Black & Decker worked with NASA to create a series of lighter tools that could be used in zero gravity environments and was used in space and on the moon. Since the 1970s although the fundamentals of power tools have not changed drastically, modern technology and development in batteries has led to tools becoming increasingly lighter, powerful, safer and easier to use. For example, the Bosch GBH 24 VRE Professional (shown above) introduced in 1984 was the world’s first rechargeable battery operated rotary hammer. The first cordless 2-kilo hammer that could be operated without the need of mains power. Today we use power tools as part of our daily lives, both at home and at the workplace, and without them the level of work simply wouldn’t be possible. They are a key everyday part of a home’s tool kit.